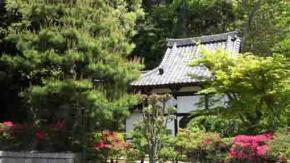 The Ugajindo Hall in Nakayama Hokekyoji Temple is a small hall on a small hill behide the Sochido Hall and the Hodenmon Gate. This Ugajindo Hall is the head shrine of Ugatokushoshin , the guardian deity of Hokekyoji Temple and he is famous for the god of wealth. The history of Ugajindo Hall handing out there tells that Ugajin appeared before the construction of the Soshido hall would began and told if a hall dedicating him would be built he would protect Nakayama Hokekyoji Temple. 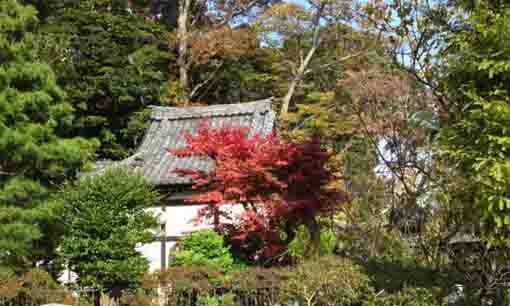 And according to Shochuzan Hokekyojishi, it was built for avoiding an unlucky quarter of Tokugawa Family in Edo. 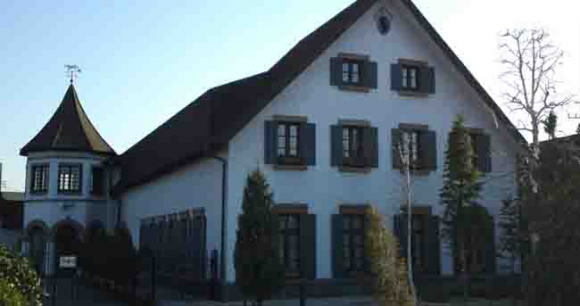 Around the Ugajindo Hall, believers enjoy flowers through years, so drooping plum and drooping cherry bloom in spring, azaleas bloom in early summer and fragrant olives blooms in fall. 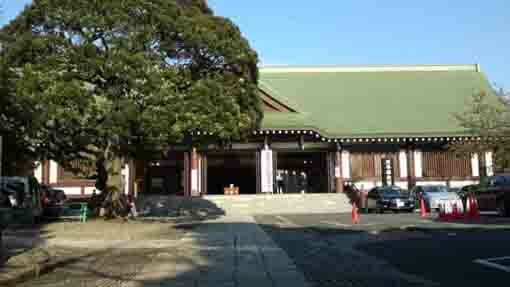 Behind the hall, there are the hall dedicates Kiyomasa Kato and the Ota-Inari shrine. 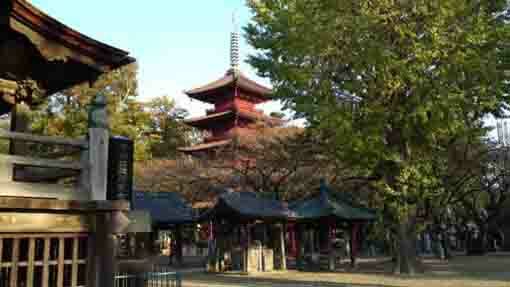 Ugajin is a generic name of the group of gods who has been believed to give happiness to people since ancient time. It is also told the god of food and agriculture. Ugajin often regard in the same god as Benzaiten who is the god of happiness, profit, knowledge and wealth. There is a white snake in his crown, then name of Ugajin sometimes signifies the white snake or the dedicated white snake. The god's name 'Uga' is named after Uka-no-mitama-no-kami appears on the myths in Japan in general. 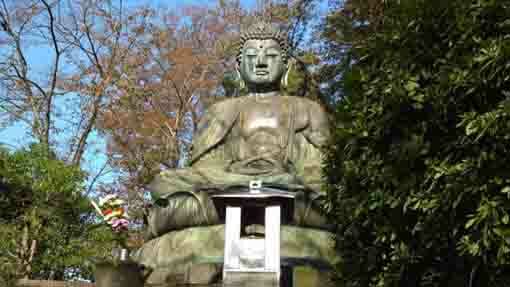 (There is another explanation that it is named after 'Ukaya' means 'zaise' (donation) in Buddism words.). Its head is human's and the body is snake's, the statues are generally coiled, and there is no rule to make the head, some are young ladies and others are old ladies, etc. 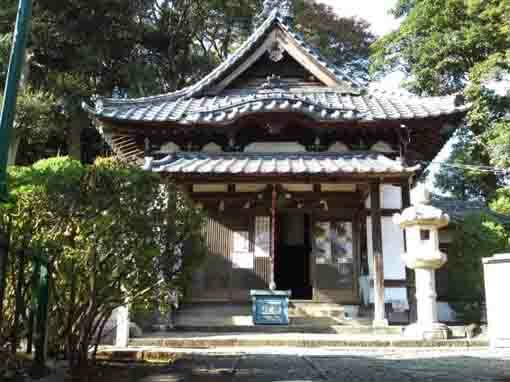 Ugajin was adopted in the education at Enryaku-ji Temple in Hieizan (Tendai Sect), then Ugajin units or fuses syncreticaly the god of Buddhism Benzaiten. 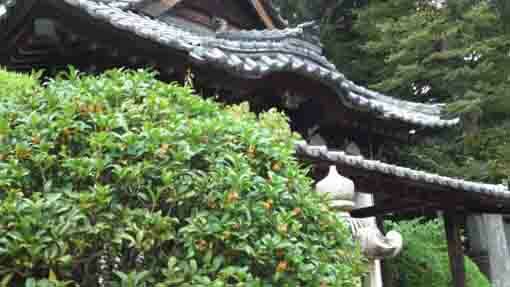 The united god is called 'Ugabenzaiten', Ugajin puts on the head of Benzaiten with toriis usually at that time. The origin of Ugajin is unknown, it has no characteristics of the god of cereals in any scripts of Buddhism. 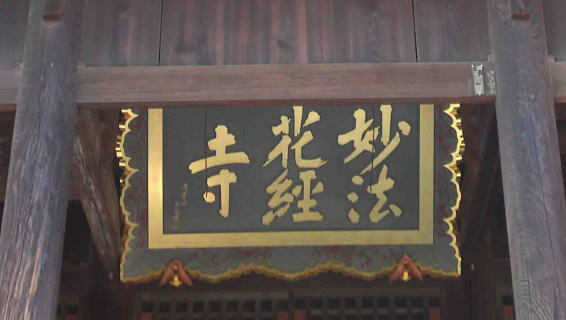 Therefore it is sometimes told that Ugajin is created while the god had been united to Benzaiten. 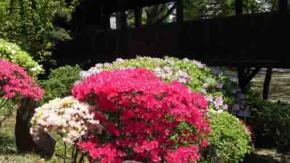 The worshipping to Ugabenzaiten spread from Tikubujima Island in Omi-no-kuni (Shiga prefecture) to Itsukusima Island in Aki-no-kuni (Hiroshima Prefecture), Enoshima Island in Sagami-no-kuni (Kanagawa prefecture) and everywhere throughout Japan. 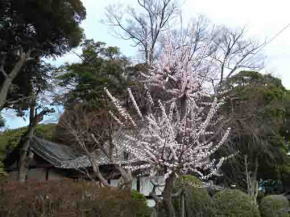 Ugabenzaiten dedicated at these are changed to Ichikisimahimenomikoto at the separation of Buddhism and Shintoism in Meiji Era. 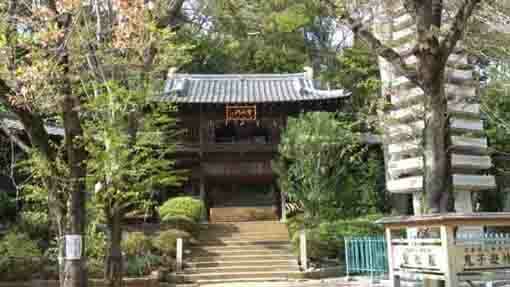 It is rare case that Uga-jinja Shrine in Kamakura city, Kanagawa prefecture dedicates Ugajin now. Uka means 'Uke (eating; by euphonic change), thus it represents food, Uka-no-mitama is the god of rice. 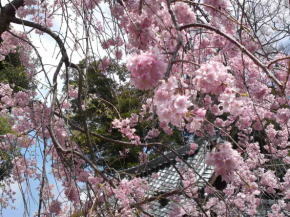 Sometimes it is called Uke-no-mitama. The Ugajin-do Hall in Nakayama Hokekyouji Temple has great accessibilities from both Narita and Haneda International Airport.